If the 2014 NBA draft lives up to its hype, the upcoming college basketball season could rival or supersede any since the turn of the century. But the buzz isn't going away and won't unless the returning and incoming talent takes a dramatic drop from preseason projections. Let's assume Kansas freshman Andrew Wiggins, Kentucky freshman Julius Randle and Oklahoma State sophomore Marcus Smart are locks for the top three to five spots in the NBA draft. Who else registers with NBA decision-makers to fill out the top 10? Parker will pair up with Mississippi State transfer Rodney Hood to create a dynamic tandem for the Blue Devils. Parker's overall basketball IQ makes him a cinch to be in the top 10. He will be in the running for ACC Player of the Year with Hood, Virginia's Joe Harris and Syracuse's C.J. Fair. Wiggins has swallowed most of the oxygen coming from Lawrence, but Bill Self potentially has one of the best big men he has coached at KU in Embiid. He is a sponge, soaking up knowledge, and could be the most dominant big man outside of Randle this season. Robinson is described as having a pro game with excellent shooting skills. The trick will be how he handles being much more of a featured presence for the Wolverines. McGary could have easily bolted from Michigan after its Final Four run last season. He was a hot candidate in an incredibly weak draft, yet he chose to return. Now, he's battling back issues. The upside is there, but he needs to show well for a full season. Kentucky coach John Calipari isn't hesitating promoting Young's skill set. If he has Michael Kidd-Gilchrist's work ethic but is even better in the skill department, Young could be a sleeper to shoot up into the top five in June. Gordon was the MVP of the United States' under-19 gold-medal-winning team in the Czech Republic in July. His athleticism was on full display in the event. But Gordon will need to show he can shoot and defend to ensure he's a top-five talent. Harrison will step in as the Wildcats' point guard. If he stands out, the long line of highly placed Calipari-coached point guards will continue to dominate the lottery. With alignment on hold until after next season, the lines have been drawn, the places set. Now, it's time for programs that have lost their way to lock in and start the climb out of mediocrity. The Demon Deacons stuck with Jeff Bzdelik for a fourth season after winning just 13 games in each of the past two seasons. Transfers have become all too common in the program. There was progress last season: winning six conference games, beating ACC champ Miami and knocking off NC State. But the Demon Deacons couldn't win on the road. Climbing out of the bottom third will be even tougher this year with the additions of Syracuse, Pitt and Notre Dame, not to mention the forthcoming switch of Maryland for Louisville. Wake Forest athletic director Ron Wellman and Bzdelik are good friends. Wellman put his stake in Bzdelik and has to see this through. Now is the time for the Demon Deacons to make a move to ensure that the rocky road was worth the wait. The Wake Forest fan base is one of the most passionate in the league. It's a shame that it hasn't had the opportunity to create a feared, frenzied atmosphere like the one it had less than 10 years ago. The Cornhuskers are investing in basketball like never before. Nebraska is playing in $179 million Pinnacle Bank Arena. Coach Tim Miles is entering his second season. He has a young team in Lincoln, and there will be growing pains. Still, there needs to be a return investment. The Huskers must make Lincoln a feared road stop in the Big Ten going forward. Nebraska has a chance to show promise. The time is now to make a move before even the most passionate fans begin to lose interest. The Mountaineers' transition to a new league might have been the toughest of any team that moved. That shouldn't have derailed a program Bob Huggins had rolling to a Final Four just over three years ago. Huggins has too much pride to let West Virginia wallow in mediocrity, but the talent drain was in effect last season. There were recruiting mistakes and opportunities lost. The Mountaineers must make Morgantown as difficult a road stop for opposing teams. Moving into the league's top four is more than doable for the Mountaineers. The Pirates might be one of the biggest beneficiaries of a move to a smaller conference. Seton Hall was lost amid the bloated old Big East. Now the opportunity is there for the Hall to climb. A strong 2014-15 recruiting class should give hope. There is optimism for one of the most difficult high-major jobs in the Northeast. Kevin Willard is entering his fourth season as a .500 coach, but he could be judged with a clean slate in a new league where the true round-robin schedule will be a fair barometer. The new Big East desperately needs the New York-market teams to matter in March. St. John's appears to be ready to accept the responsibility. The Pirates must do their share, too. If you've never seen the Huntsman Center rocking, then you've missed out on one of the top home courts in the West. The problem is that those instances, since the late Rick Majerus was on the sideline, have been limited. Crime-fighting coach Larry Krystkowiak has the right demeanor, character and credibility to deliver a winner, but the corner must be turned soon. Utah can -- and should -- be one of the rising teams in a conference that allows plenty of chances for schools to take a turn near the top. If once downtrodden Colorado can be a regular, established contender, then Utah can as well. Krystkowiak said he believes in the younger players in the program. Now it must ignite the passion that once made Salt Lake City an intimidating destination. Georgia has always been one of the more intriguing SEC teams not named Kentucky or Florida. The Bulldogs are within range of plenty of talent, notably in Atlanta, even going against hometown Georgia Tech. The Bulldogs have a determined and loyal fan base that craves a winner. Mark Fox has coached and recruited pros, but he hasn't been able to get that talent to win consistently in the postseason. The SEC is wide open beyond the top two teams, with room after that for whoever can produce. If there ever was a time to make a move back into being a team of consequence, this is it. When Guy Lewis was inducted into the Basketball Hall of Fame last month, it brought back memories of the Cougars' dominance in the 1980s. That era is long gone while Houston has spent time in the Witness Protection Program. Now the Cougars have come out of their shell in the American Conference, where there is a real opportunity for Houston to get on the national stage. Once Louisville leaves, UConn, Memphis and Cincinnati will need challengers. Temple and SMU might take their shot. Houston, though, can draw from as much, if not more, of a talent base than any school outside of Memphis. The Cougars might never have a better chance to be a factor than right now. The 1980s aren't coming back, but Houston has a shot to create its own revival. Bill Streicher/Icon SMI Big East coaches are confident the formula the league uses to determine conference schedules ahead of each season has helped in getting more NCAA tournament bids. 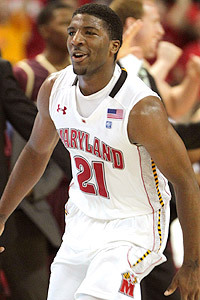 AP Photo/Rob Carr Pe'Shon Howard made quite a first impression for Maryland this week. The offseason question for the Terps was who would replace Greivis Vasquez's leadership, moxie and overall late-game magic. The answer came rather quickly toward the end of the College of Charleston game. Howard made not just one, but two big-time shots to beat the Cougars. The second was all Howard, taking the ball down court and hitting a fall-back dagger of a jumper to win the game at the last second. I loved Maryland coach Gary Williams' stunned face as the buzzer sounded. He was obviously relieved, but also had to be thrilled that he had found a player who shares Vasquez's drive to do something special when the game matters most. Howard was an efficient 8-of-11 (2-of-7 at the line, though) in two games this week, scoring 19 points, dishing out 12 assists and snagging five steals. Illinois can score: The Fighting Illini have been offensively challenged in recent years (who can forget the 38-33 loss to Penn State in '09?). But in two games this week -- albeit against poor competition -- Illinois averaged 81.5 points a game. That bodes well for a team that has plenty of talent that can push the basketball (expect games against North Carolina and at Gonzaga to be high-scoring affairs). Texas has another stud freshman: Forward Tristan Thompson averaged 14.5 points in two games, but was even more impressive with a 17-point, seven-rebound, three-steal performance in a win over Louisiana Tech on Wednesday. Pitt will rely on its veteran backcourt to win big: The Panthers played without injured forward Nasir Robinson in the first two games, and the consistency and production of the frontcourt is still an unknown. But Pittsburgh has two players in Ashton Gibbs and Brad Wanamaker who have matured into leaders, reliable scorers and money players in the final few minutes. Jamie Dixon can rely on these two to take over a game when needed. They carry themselves as mature young adults, ready to take the baton of leading Pitt to a possible Final Four. • Baylor coach Scott Drew said in a text message Thursday night that there had been no movement on reinstating senior guard LaceDarius Dunn for Friday's opener against Grambling State. The Bears can get by without Dunn for some time since the schedule is soft until Arizona State on Dec. 2 and Gonzaga in Dallas on Dec. 18. • Kansas coach Bill Self said in a text Thursday night that he was hopeful there will soon be a resolution on the eligibility of point guard Josh Selby. But it didn't sound promising for the immediate future: Friday's game against Longwood and Monday against Valparaiso. Kansas starts the meat of its nonconference schedule with a rugged seven-game stretch -- Ohio, Arizona, UCLA, Memphis in New York, Colorado State, USC and at California. All of those teams, save perhaps Cal, should be in postseason contention. But the game against the defending Pac-10 champion is in Berkeley, which still makes it a difficult stop. • Minnesota coach Tubby Smith suspended Devoe Joseph for a violation of team rules. The Gophers open against Wofford and then play Siena on Monday before going to Puerto Rico for three games, starting with Western Kentucky. Joseph is one of the better scorers for the Gophers, but this Minnesota team can take at least one suspension (unlike last season's team). In discussing this with the Minnesota staff Thursday night, I got the sense Joseph will be back sooner rather than later as long as he adheres to Smith's rules. No. 21 Georgetown at Old Dominion, Friday, 7 p.m. ET: The Monarchs are a CAA cofavorite, while Georgetown is a top-five Big East team. The Hoyas, who have lost two of their past three against the Monarchs, will be entering a rocking arena and will have to play well to win. This should have a February feel to it. Clearly, an ODU win will have more shelf life than a Georgetown road win. And the Hoyas have already started the season with one setback, as the school announced Friday that freshman center Moses Ayegba has to sit out the first nine games because someone who wasn't an immediate family member paid for his plane ticket to come to the United States before he enrolled in high school. AP Photo/Tony Gutierrez Fresh off charming America in March, Johnny Moran and his UNI teammates open Friday at Syracuse. Northern Iowa at No. 13 Syracuse, Friday, 7 ET (ESPN3): Don't be fooled into thinking this is the same Panthers team that upset Kansas. It's not. The Panthers lost too much of that squad to be looked at as a major threat to win at the Carrier Dome. But they will test the Orange zone. How well Kris Joseph emerges as the go-to guy and the impact of Fab Melo along the backline will be interesting developments to track. Seton Hall at No. 22 Temple, Friday, 7:30 ET: The Pirates have been flying under the radar during all the Big East preseason talk, but still have enough talent to be a major player in the league's muddled middle. Meanwhile, Temple is the Atlantic 10 favorite and the one school at the top of the conference that has had no drama in the offseason. But a loss here at home could start the questions for Fran Dunphy's group. Southern Miss at South Florida, Friday, 7 ET: The Golden Eagles project themselves as a real threat to take down Memphis in Conference USA. The Bulls are rebuilding a bit after losing Dominique Jones to the NBA. But USF is still a Big East team that won 20 games last season, so a road win here by Larry Eustachy's crew will go a long way toward earning credibility. East Tennessee State at No. 10 Kentucky, Friday, 7 ET (ESPN3): How well Brandon Knight plays at the point, Doron Lamb and Terrence Jones play on the wing and Eloy Vargas plays inside will all be interesting subplots for an Enes Kanter-less Kentucky squad. Don't forget that ETSU has gone to the NCAA tournament in each of the past two years. An upset is highly unlikely, but a young UK team had all sorts of problems with teams like Miami (Ohio) and Sam Houston State early this past season. North Carolina A&T at No. 5 Ohio State, Friday, 7 ET (ESPN3): The Buckeyes' new stud forward, Jared Sullinger, is being billed as the possible Big Ten player/freshman of the year. Let's see if he lives up to the early-season hype. Lipscomb at No. 9 North Carolina, Friday, 7 ET: The Tar Heels will be major players if freshman Harrison Barnes is a stud. This is our first look at America's No. 1 recruit, his fellow stud freshmen and a motivated group of UNC returnees. Chattanooga at No. 20 Tennessee, Friday, 9 ET: The Vols have been the center of controversy this offseason due to the admitted NCAA violations by head coach Bruce Pearl and his staff. Then Tennessee lost an exhibition game to Indianapolis this week and had the critics howling. But the focus can, at least for now, return to the court and the expectations around Tobias Harris in his first game. Detroit at New Mexico, Saturday, 9:30 ET: The Titans start the season at the refurbished Pit and get to unveil the hyped Ray McCallum Jr. The Lobos will play Tennessee transfer Emmanuel Negedu, who had to have a defibrillator put in his chest after he nearly died in 2009. San Diego State at Long Beach State, Saturday, 7 ET: The MWC favorites begin a five-game road swing to start the season that will take them next to Spokane and then to Oxford, Ohio. Long Beach State is a Big West title contender and a heck of an opening challenge for a team with the highest expectations in SDSU history. Florida State at UNC Greensboro, Sunday, 3:30 ET: The Seminoles, who fancy themselves to be a possible second-place finisher in the ACC, are going out of their way to challenge themselves this season with interesting road games. Florida State also goes to FIU on Nov. 18 and Loyola Marymount on Dec. 18 before opening up the Diamond Head Classic in Honolulu with a true road game against host Hawaii on Dec. 22. While the Big East decided it won't change its tournament format for 2011, where and when its conference games will be played this season remains a long, drawn-out process. The Big East handles its 18-game conference schedule using a poll voted on by the league's coaches in May. According to where teams are ranked, they're placed into tiers. In some years, there have been just three tiers, sometimes four, sometimes five or even six, depending on the discrepancy between the teams' point totals. Creating a schedule for a 16-team league is inherently difficult, especially taking into consideration games played on national television. This season, the league is facing the toughest time it has had in finalizing its conference schedule because of the late release dates of schedules for professional sports teams that share venues with half of the league's teams. The AHL minor league hockey schedule was released Tuesday, which affected home dates for the Providence Friars at the Dunkin' Donuts Center, the UConn Huskies at the XL Center, DePaul at Allstate Arena and Marquette at the Bradley Center. The NBA schedule was released later than normal this season (due in large part, the Big East thinks, because of the reshuffling of games to accommodate the changes brought on by LeBron James' free agency saga). The NHL television schedule was supposed to be released Wednesday, which would help with arenas that house NHL and Big East teams (Georgetown at the Verizon Center, St. John's at Madison Square Garden, Seton Hall at the Prudential Arena and Villanova for its handful of games at the Wachovia Center). Georgetown and St. John's also share their venues with NBA teams as well as other events that come through New York and Washington, D.C., in the winter months. Even Louisville had scheduling issues in the past with events when it played at Freedom Hall. The new arena is still a public facility, although the Cardinals are the primary tenant. Big East associate commissioner Tom Odjakjian, who has to put the master schedule together, has no idea when it will be finalized. Associate commissioner Dan Gavitt said scheduling at the Wachovia Center, Madison Square Garden and the Verizon Center has historically been the most difficult to finalize. For the 2010-11 season, there were five tiers, determining which teams are paired up together for their three repeat games. Tier 2: Syracuse, West Virginia, Georgetown. Tier 3: Louisville, St. John's, Notre Dame, Connecticut. Tier 4: Marquette, Cincinnati, Seton Hall. Tier 5: South Florida, Providence, Rutgers, DePaul. Pitt and Villanova received 13 of the 16 first-place votes. One of the three first-place votes went to St. John's. Louisville coach Rick Pitino admitted he gave the Red Storm and new coach Steve Lavin a first-place vote May 14. "I was debating between St. John's, Pittsburgh, Villanova and Cincinnati, but I didn't want to put that on Mick [Cronin, Pitino's former assistant] so I went with St. John's." 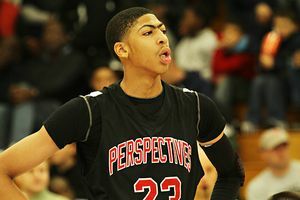 Pitino told ESPN.com Wednesday that he was sticking with St. John's, saying in a text: "Nine seniors. Everyone but Pitt and Villanova lost key players." St. John's was picked in the ballot to finish anywhere from first to 13th while Cincinnati's range spread from fourth to 13th. Coaches couldn't vote for their own teams. Gavitt said the Big East has been fortunate that some of the league's notable rivalries, such as Pitt-West Virginia and Rutgers-Seton Hall, have been in tiers that allow the teams to play each other twice. "If you're in one of the bottom [tiers] then you generally get one very difficult repeat and two repeats against your peers," Gavitt said. "If you are picked in the middle, then you don't end up playing one of the top-tier teams. But you don't get a bottom-tier team either. It hasn't happened yet where a rival is way down away from the other team." Pitt: Villanova (1), West Virginia (2), South Florida (5). Syracuse: Villanova (1), Georgetown (2), Seton Hall (4). Georgetown: Syracuse (2), St. John's (3), Cincinnati (4). West Virginia: Pitt (1), Louisville (3), DePaul (5). Louisville: West Virginia (2), Connecticut (3), Providence (5). St. John's: Georgetown (2), Notre Dame (3), Cincinnati (4). Notre Dame: St. John's (3), Marquette (4), Connecticut (3). Connecticut: Louisville (3), Notre Dame (3), Marquette (4). Marquette: Connecticut (3), Notre Dame (3), Seton Hall (4). Cincinnati: Georgetown (2), St. John's (3), DePaul (5). Seton Hall: Syracuse (2), Marquette (4), Rutgers (5). South Florida: Pitt (1), Providence (5), DePaul (5). Providence: Louisville (3), South Florida (5), Rutgers (5). Rutgers: Villanova (1), Seton Hall (4), Providence (5). DePaul: West Virginia (2), Cincinnati (4), South Florida (5). Gavitt said that the Big East attempts to get the best intelligence it can from its coaches when pairing teams for their conference schedules. "Over the last five years it has been right about 75 percent of the time," Gavitt said. "We're always going to have teams finish higher like Pitt and Syracuse did last year. You can't bat a thousand." • The Big East is also mulling what to do with the SEC/Big East Invitational. The event is in its final year of its current format of playing at neutral sites, which it has struggled to schedule and fill. The Big East has been fortunate with the home run of Kentucky-Connecticut last December at MSG but even Syracuse-Florida in Tampa wasn't a sellout. Coaches would like to see the event continue but on campus sites with all 12 SEC schools going against 12 of the 16 Big East schools. There would be a three-year rotation for the 16 Big East schools of home/road and off (out of the event) over an eight-year time frame. • The Big East is trying to lessen the number of Saturday-Monday turnarounds for teams to around three this season. • A source in the Big East said there would have been serious discussion within the league to add Kansas and Kansas State had both schools been made available if expansion dismantled the Big 12 but that there has never been any real discussion about adding Memphis. Football coaches haven't been shy about the need for a ninth member for scheduling purposes but basketball coaches are against a 17th school, and for the Big East to add one or two members it has to be a home run on all fronts. Kansas and Kansas State would have been if they were available. But they're not. Too often, news of transfers gets more attention than it deserves because of the slow offseason news cycle. According to a source close to Josh Pastner, the Memphis coach didn't want Roburt Sallie back next season. Sallie wasn't going to be a main fixture on the team with a heralded recruiting class coming aboard, led by Will Barton and local product Joe Jackson. And according to a source close to Andy Kennedy, the Ole Miss coach wanted no part of Eniel Polynice on the Rebels, regardless of losing another guard, Terrico White, to the NBA draft. Sallie and Polynice are on track to graduate this summer from their respective schools and are seeking to use an NCAA rule to their advantage. Although it's quite a reach, the purpose of the rule is to legitimately allow a student-athlete who graduates the chance to pursue a graduate-school degree at another institution if it's not offered at the current one. Sallie and Polynice are seeking an appeal to play immediately next season at Louisville and Seton Hall, respectively. There is plenty of paperwork to file but both will have to show that they are going for a graduate school major they cannot pursue at their previous schools. The NCAA has shown lenience in granting immediately eligibility instead of the year-in-residence rule for players if there is an illness in the family or special circumstances like a postseason ban or a father-son combination (Lon and Kevin Kruger at UNLV). But a coaching change usually doesn't do the trick. That's why any attempt by Marquette to get Wisconsin native Jamil Wilson immediately eligible after transferring from Oregon might not work. The school already put out a release that Wilson would be eligible in 2011-12, but there could be extenuating family circumstances that might work in his favor if the school chooses to pursue that plan. Wilson was a big-time 2009 recruit who chose Oregon over Texas, Michigan State and Marquette. • West Virginia may have picked up a coup in nabbing 6-foot-10 Kevin Noreen. The one-time Boston College signee was supposed to be the catch of the class for the Eagles. If Noreen can be a stretch-4 as he was projected for BC, he could help the Mountaineers immensely next season. • A conference commissioner with knowledge of the expansion issues said Big Ten commissioner Jim Delany made it clear that unless Notre Dame is involved, the Big Ten is done with expansion after adding Nebraska as its 12th member. • The source also said the Big East wasn't moving toward expanding in the near future. A recent report that Memphis and Central Florida were next in line was shot down by Big East officials. • The WCC has made eight members work in basketball and the WAC will likely do the same. WAC commissioner Karl Benson said earlier in the week that the conference wouldn't move to replace Boise State in 2011-12. That means the league would stay at eight schools, playing seven conference games for football and 14 for men's and women's basketball. The WAC has looked at non-football-playing members like Denver and Seattle, but the league isn't moving in that direction. • Fresno State desperately wanted to get into the Mountain West and was crushed when the MWC didn't call after Utah left and was replaced by Boise State. The Bulldogs have begged for years to get into the MWC or Pac-10, only to be left back in the WAC. • Oregon is shooting large by going after Gonzaga's Mark Few, Pitt's Jamie Dixon and Florida's Billy Donovan. I'd be surprised if any of them were to take the bait. The money isn't as grand as what apparently is being bandied about. The facilities are expected to be beautiful, but Nike czar Phil Knight has always been about improving the infrastructure at Oregon more so than supplementing a coaching salary. Former Oregon AD Pat Kilkenny probably will be making the call. Oregon would likely go with a Nike coach and there is one that I think would be a great fit if the Ducks thought out of the box: BYU's Dave Rose, who has done a tremendous job with the Cougars. Everyone at the school from the president on down was superb in helping Rose out during his horrific pancreatic cancer battle over the summer. But it would be hard for Rose to turn down Oregon, if the Ducks were to look at him. Rose coaches an entertaining style that would be a great fit, and he's an A-plus person who would do wonders with the boosters. If not Rose, then non-Nike coaches Randy Bennett of Saint Mary's and Mark Turgeon of Texas A&M should be given a shot to at least decide if they want to move. • I wouldn't be shocked if Tubby Smith listened to Oregon. But staying at Minnesota also makes sense with the Gophers poised to be in the Big Ten title chase next season. If Paul Hewitt were to leave Georgia Tech, that's the better fit for Smith. • Hewitt to St. John's sounds great, but does Hewitt want to give up on Georgia Tech and the ACC? He has always told me how much his family loves Atlanta. He hasn't had problems recruiting talent to Georgia Tech. Unless it were a necessity, a coach shouldn't leave a football power-six school for a basketball-only school, regardless of its conference affiliation. • There was no shot Donovan was leaving Florida for St. John's. I don't buy he's leaving Florida for anywhere at this juncture. He didn't go to Kentucky. He turned his back on the NBA. His family loves Gainesville. He's close with the top athletic director in the country, Jeremy Foley, and he makes $3.5 million a year. •Houston coach Tom Penders was adamant that he was just resigning from Houston, not retiring. He said he has a lot of coaching left in him. Penders said the decision was his, not the school's. Penders, whose moniker is "Turnaround Tom" (not sure who coined that phrase), said he wants to coach again, as soon as next season. But he has to have a destination. • Texas assistant Rodney Terry would certainly make a lot of sense at Houston. He has support. Let's see if he can get the gig. Keep hearing conflicting reports on whether Billy Gillispie of Kentucky, UTEP and Texas A&M fame can get the job. Marquette assistant Tony Benford, a native of Hobbs, N.M., and former Texas Tech player, has always recruited Texas well and deserves a look. • Seton Hall alumnus Adrian Griffin, now an assistant with the Milwaukee Bucks, has had initial conversations with the school about the opening. He is pushing his loyalty to the institution, his ties to the NBA, his MBA and his tutoring under Rick Pitino, P.J. Carlesimo, Scott Skiles, Jeff Van Gundy and others in the NBA. Griffin would likely be behind Siena's Fran McCaffery, Robert Morris' Mike Rice and Richmond's Chris Mooney. Still, the former Pirate will at least get a chance to be heard. He should since he's so passionate about the school. • Central Florida's opening is creating quite an interest with Minnesota Timberwolves assistant Reggie Theus, Murray State's Billy Kennedy and possibly Marshall's Donnie Jones, who was an assistant at Florida. • Boise State's list continues to be a solid group: former Montana coach Larry Krystkowiak, Portland coach Eric Reveno, Weber State's Randy Rahe and Gonzaga assistant Leon Rice. • If DePaul is serious about an on-campus arena with approximately 8,000 seats, it could change the job for the foreseeable future. But the Blue Demons must put a shovel in the ground for potential coaches to feel like there can be serious movement on the subject. • Jeff Lebo's bounce back from fired at Auburn to hired at East Carolina is one of the better moves for a dispatched coach. • Former St. John's coach Norm Roberts would go back to Kansas if Bill Self had an opening on the staff. But he also would like to be a head coach again -- next season. Roberts had the Red Storm playing at a high level, but couldn't close out a number of close games. • A number of NBA personnel officials expect a floodgate of players to declare for the NBA draft with plenty making poor decisions with only a short window (end of April to May 8) to withdraw under a new NCAA rule. • Fordham getting Hofstra's Tom Pecora would be a great get for local ties within the city. But Pecora still never coached Hofstra in the NCAA tournament. You can't hide from that fact. That doesn't mean he shouldn't deserve a shot at another school, but Fordham needs someone who has experienced the NCAAs to rise up from the depths of the A-10. Pecora is well liked in the city and beyond but hasn't been able to get over the hump in the CAA since Jay Wright left for Villanova. Hofstra would be a coveted job if it were open and assistants like Pitt's Tom Herrion would be near the top of the list. • Penn hasn't officially hired Jerome Allen yet. Does that mean Lafayette's Fran O'Hanlon could be in the mix? • UC Irvine has a wide net to cast and it should include BYU assistant Dave Rice, who is as well connected in the West as any other assistant. • Iowa was once a plum job. The Hawkeyes could do no wrong going with Dayton's Brian Gregory or Utah State's Stew Morrill, but UTEP's Tony Barbee would also be an interesting call if he's not in play at DePaul. • Charlotte is one of the top jobs open with a chance to move up quickly in the A-10. • It's still early, but if a major job opened, the coaching carousel will spin at a much quicker rate. So far the job list isn't as high profile yet. Fran McCaffery has had quite a run of late, taking Siena to three straight NCAA tournaments, including two upsets in the first round. The Saints are a trendy pick to win a third straight first-round game as No. 13 Siena goes up against No. 4 Purdue in Spokane on Friday. Whenever McCaffery is done coaching this month, he'll have a decision to make. 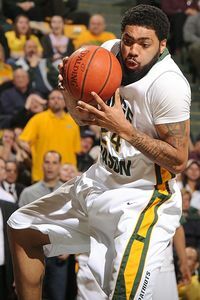 Does he stay at Siena, where he has recently ruled the MAAC, or chase a bigger payday in a tougher conference? Two years ago, he could have been a major player for the Providence job that Drake's Keno Davis ended up taking. McCaffery, however, was smart to stay put and not push for the job. Now, McCaffery is definitely high up on the lists at Seton Hall and DePaul. If Norm Roberts isn't able to survive at St. John's, he could be in play there as well. McCaffery has the pedigree of someone who would be marketable to these Catholic schools. He was an assistant at Notre Dame under Digger Phelps. He is coaching at a similar institution now, though it is smaller and in a less rigorous conference. He has strong ties in the New York metro area, and there are no NCAA violations or any behavioral issues on his record. It would also make sense for Charlotte to look at him since he was once at UNC-Greensboro. Still, he has to balance what would be a big payday with the assurance that it's the absolute right job he's taking. He's a winner. But this is an intriguing situation for someone like McCaffery. There always seems to be the assumption that you have to go where the money and the league says you should. But do you? I've covered the game for 20 years now, and I've seen plenty of questionable moves. The most recognizable ones came out of Butler. Few coaches have realized just how good a gig they've had in Indianapolis. Todd Lickliter left for Iowa and was fired three years later. 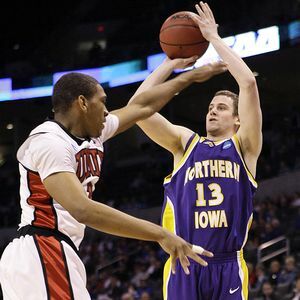 Lickliter believed he could turn the Hawkeyes around. Barry Collier left for Nebraska. He was fired and ended up back at Butler as the athletic director. McCaffery has to be careful here. He must make the right decision at a critical point in his career. Does also he look at Iowa, where he could be a fit since he was at Notre Dame and knows the Midwest? The same could be true of someone like UTEP's Tony Barbee, who is a strong candidate at Auburn and DePaul. Barbee has the Miners in the NCAA tournament as a 12-seed and regular-season champions of Conference USA. UTEP should be just as good next season, assuming the NBA doesn't grab Derrick Caracter and/or Randy Culpepper as early entrants. Barbee could be even hotter as a candidate with another successful season in El Paso. Another strong season could really improve his position in the market; he might not have to take a job at the bottom of a league that doesn't present much of an opportunity to move up in the standings quickly. The most intriguing development Wednesday was Rutgers' announcement that it was sticking with Fred Hill. That news came to light hours after it was reported by the Newark Star-Ledger that Bobby Gonzalez was out at Seton Hall. Hill's contract situation didn't help Rutgers make a move -- he's reportedly owed over $1 million. But while Hill has had some attrition lately, such as losing big man Greg Echenique, he didn't draw attention to himself like Gonzo. Gonzo's antics didn't help him. That fact was clear Wednesday. The lack of decorum of his Second Chance U. players -- from Keon Lawrence's wrong-way driving in the fall to Herb Pope's punch in the groin Tuesday night in the NIT loss to Texas Tech -- the Hall's appearance was not appealing. Seton Hall should try to woo someone like McCaffery or Davidson's Bob McKillop, but the school is also smart enough to know that both coaches are in good situations. McKillop loves his life in the Davidson community north of Charlotte. Why would someone want to leave what makes sense for the craziness of the bottom of the Big East in the competitive New York metro area? Still, the Hall will have to go with someone who has had no trouble in his past. Likewise, Fordham is trying to do that in looking for a replacement for Dereck Whittenburg. The Rams are looking to make a splash with the hire, but instead they need to ensure it is someone who makes sense, who wants to rebuild and doesn't mind grinding. That's why someone like Rhode Island's Jim Baron -- who might have overstayed his situation at URI after failing to make the NCAAs -- would be an interesting call. But why not look at a coach at a school that can't compete financially, like Northeastern's Bill Coen? There are coaches out there who need to take a gamble to move up rather than leave a comfortable situation. That's why places like Fordham and Seton Hall should also consider Tom Herrion, the top assistant at Pitt, or Hofstra's Tom Pecora. These might be jobs at which NCAA tournament appearances or success isn't the issue, but character and personality fit are more likely the answers. Pitt promoted Jamie Dixon as an assistant and that worked, right? Robert Morris' Mike Rice worked at Fordham, where he is an alum. • Charlotte is lurking as a quality gig for someone who can move quickly up the A-10 ladder. What will be interesting is whether former Charlotte assistant Dalonte Hill, now at Kansas State, can get a serious look after he left the 49ers and took committed player Michael Beasley with him to Manhattan. I would think the 49ers would get a lot of hits from head coaches. • Would Providence's Keno Davis go back to Iowa to coach the Hawkeyes after his father Tom was pushed out? I would say yes. Would they hire him? I think it would be hard after the way the Friars' season ended. • I find it hard to believe that Trent Johnson would leave LSU and head back home to Boise State. Coaches are squawking about this occurring. I would be surprised if Johnson left an SEC job for the WAC. This was one bad year at LSU after winning the SEC West the previous season, but give him time. • I'm not just shilling for a fellow colleague. I do love the knowledge Fran Fraschilla and Tim Welsh share with me on the game. They both were and should coach again if they feel it's right for them and their families. One coach just started with us and I wouldn't be surprised if he got a call this spring: former Alabama coach Mark Gottfried. He won with the Tide and reached the Elite Eight but had a number of injuries that derailed him late in his tenure. Gottfried deserves another shot. • Was the Ernie Kent firing the longest, most drawn-out process recently? Why didn't Oregon just make it official when Mike Bellotti informed Kent? It made no sense to wait.